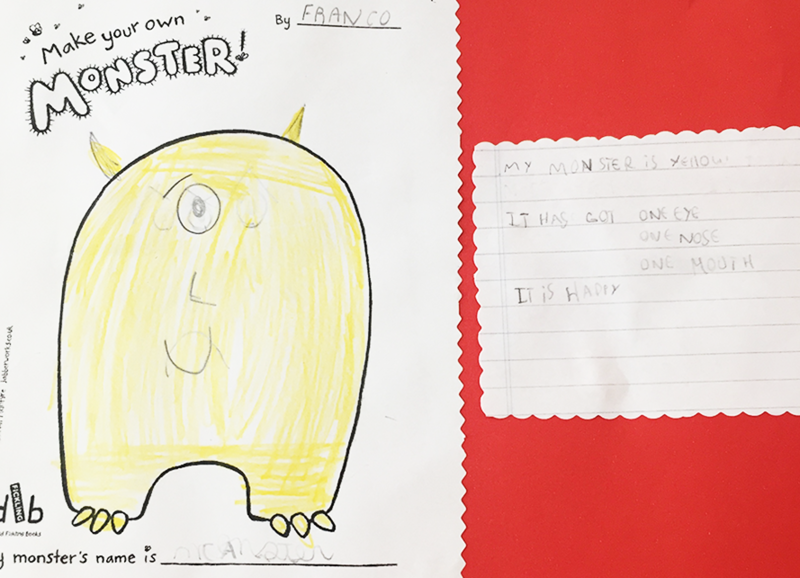 Durante el mes de marzo los alumnos de segundo grado trabajaron sobre las emociones en inglés. 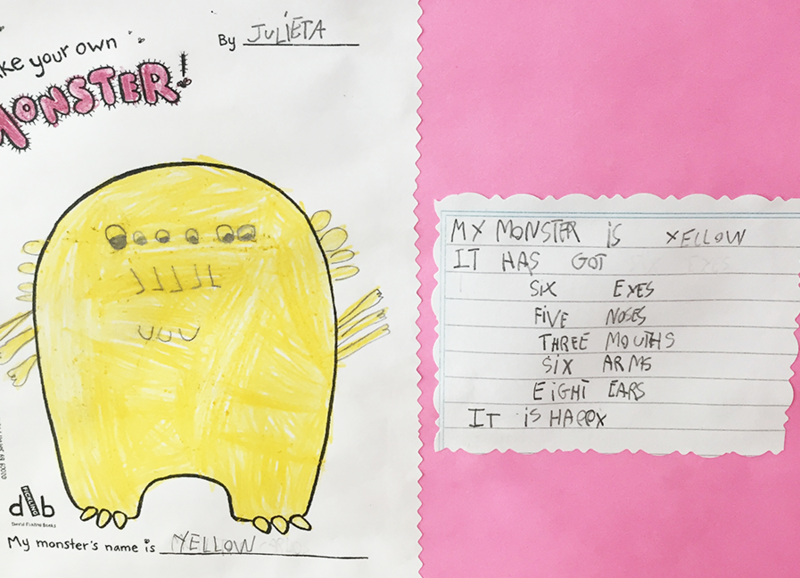 Leyeron el libro “The Colour Monster”, hicieron actividades explorando y jugando con los sentimientos de furia, felicidad, tristeza, miedo, amor y calma. 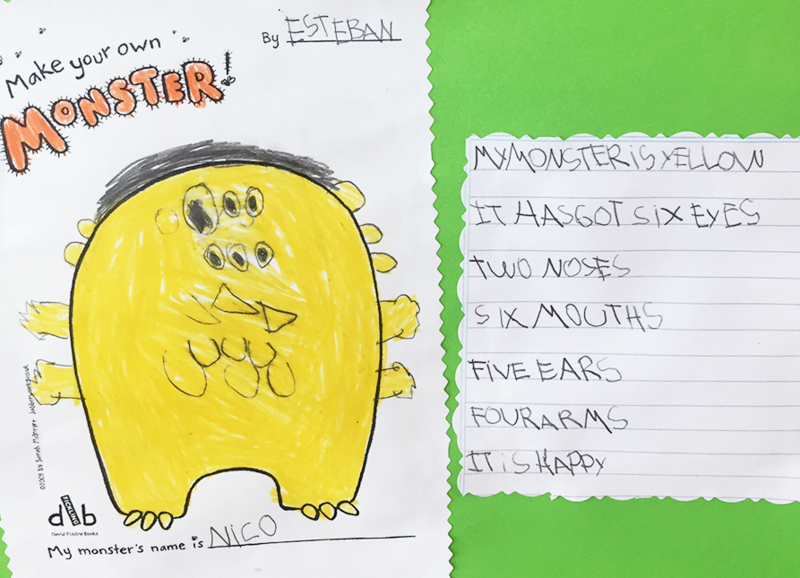 Para finalizar el proyecto, crearon un monstruo, lo colorearon siguiendo lo que sentían ese mismo día y lo describieron. 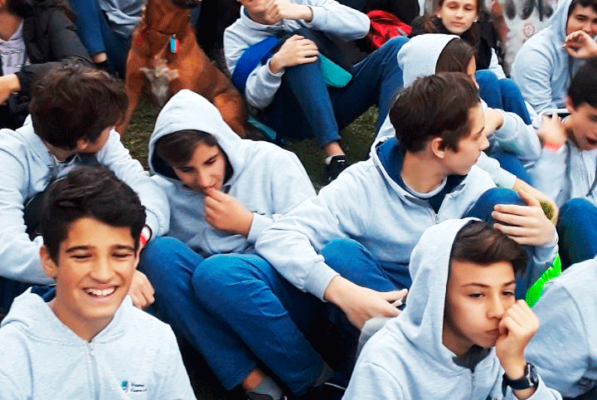 No sólo se exploraron las emociones sino que también los alumnos pudieron empezar con sus primeras producciones escritas como proceso. 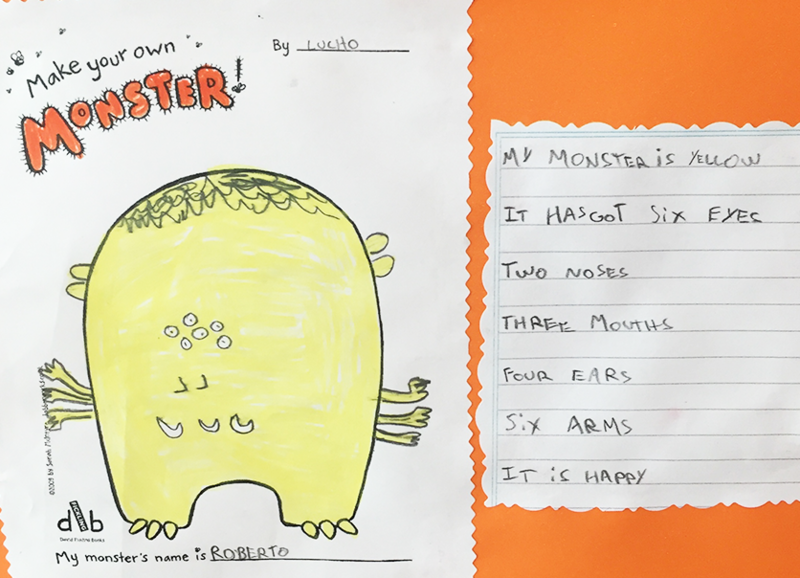 Escribieron oraciones describiendo las partes del cuerpo de los monstruos en un borrador. 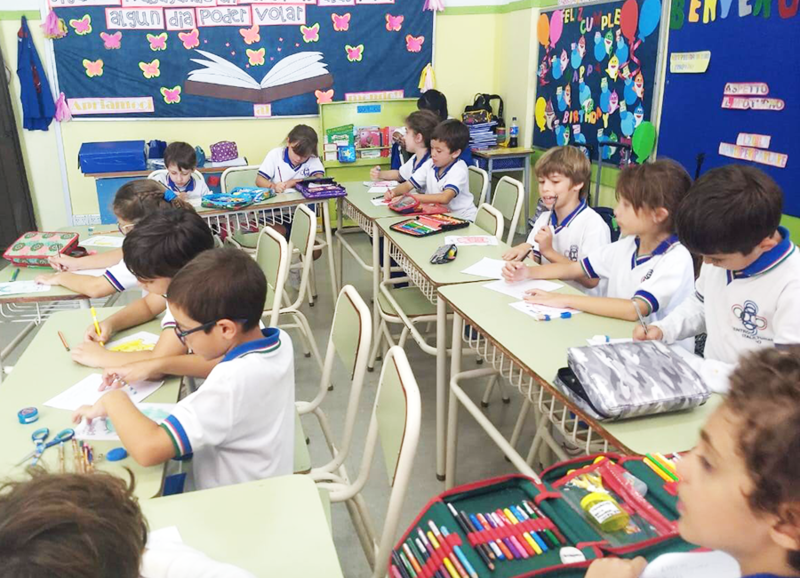 Luego la profesora fue monitoreando la ortografía y gramática hasta llegar a la versión final de lo que querían comunicar en inglés. 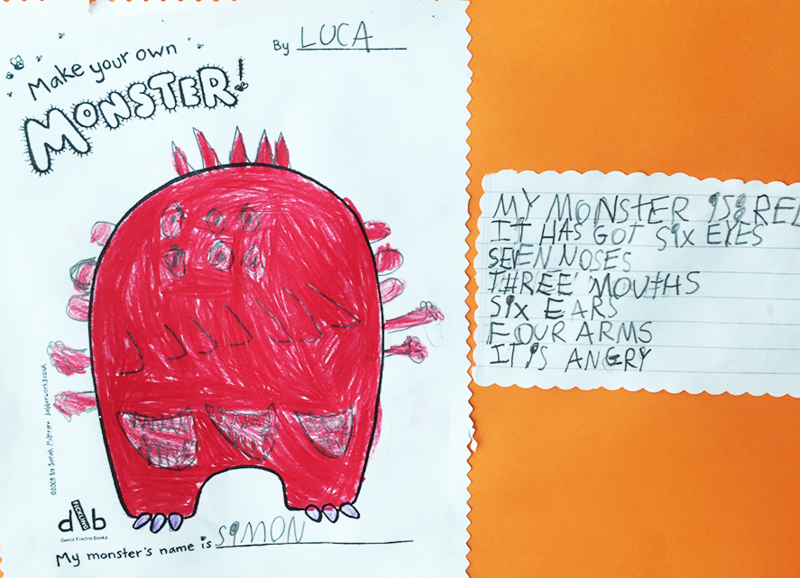 Emotions’ project: second form/Primary school-Villa Adelina branch. 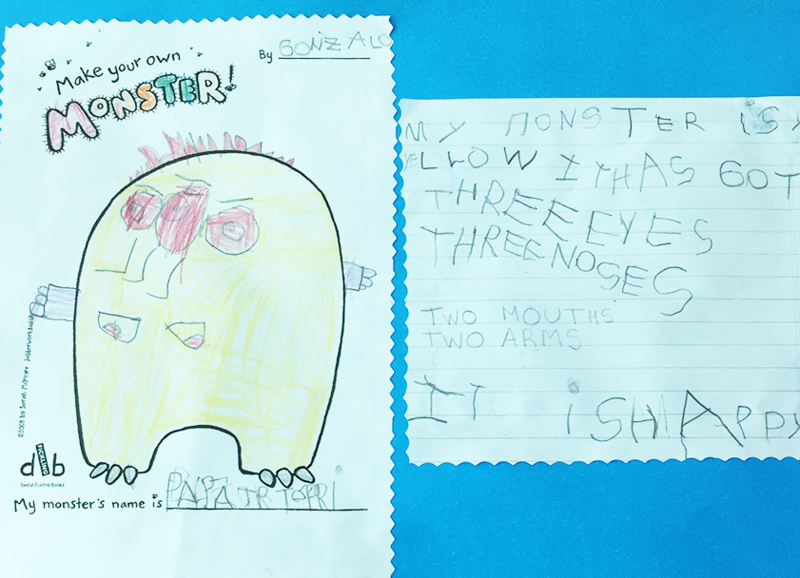 In March, the second forms worked with emotions in English. 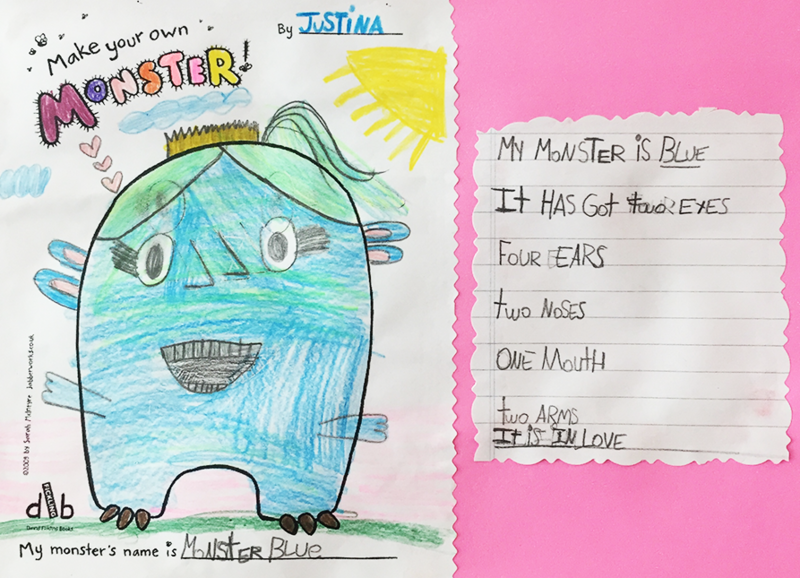 They read “The Colour Monster”, did activities, explored and played with the following feelings: anger, happiness, fear, love and calm. 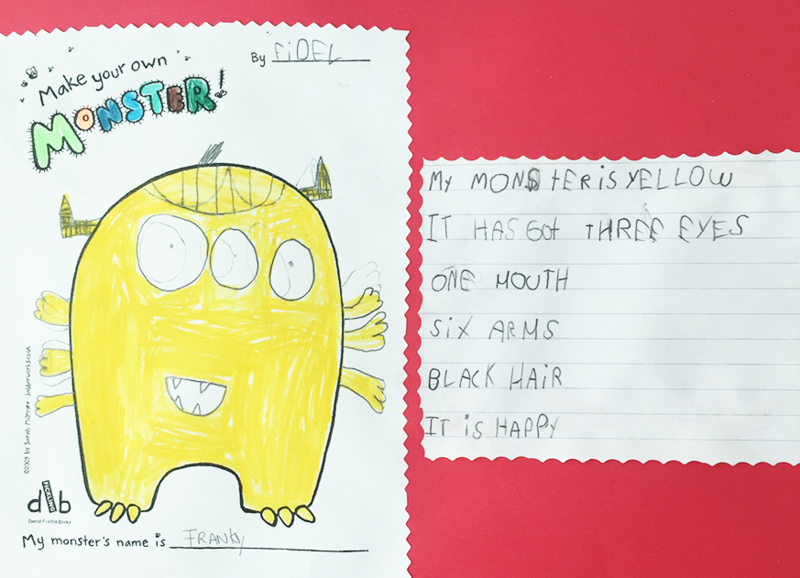 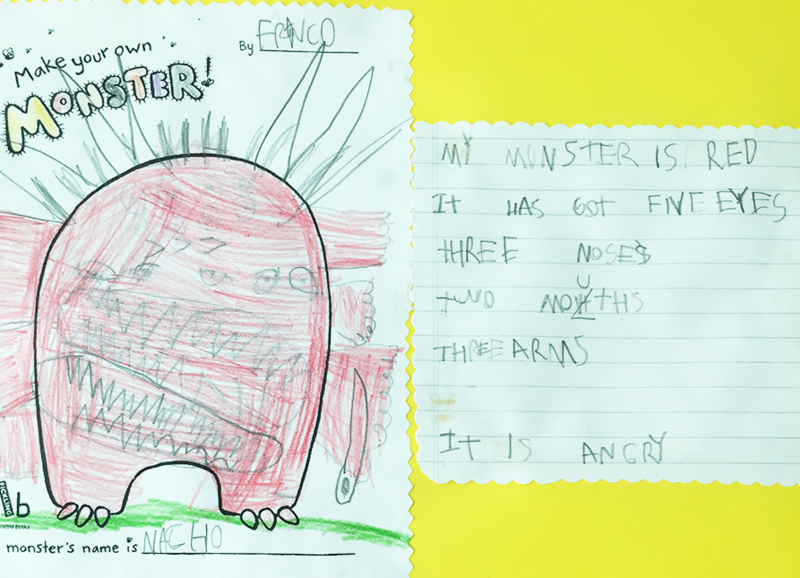 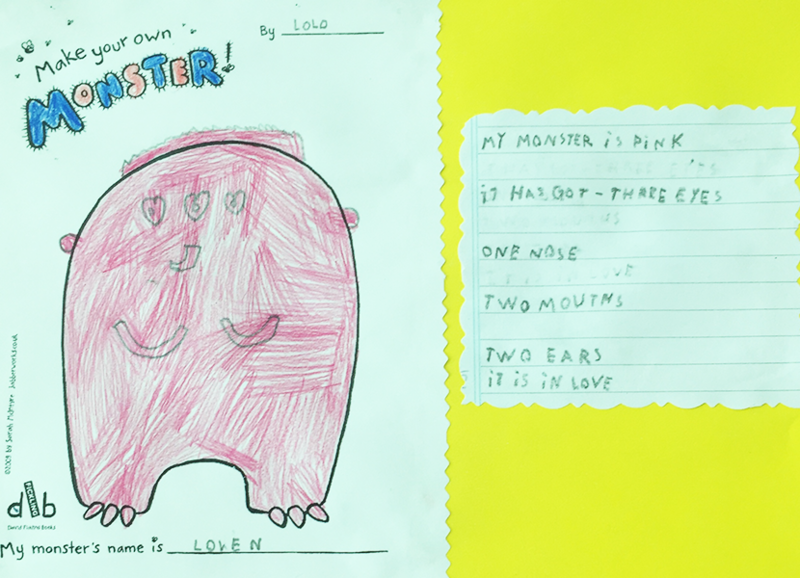 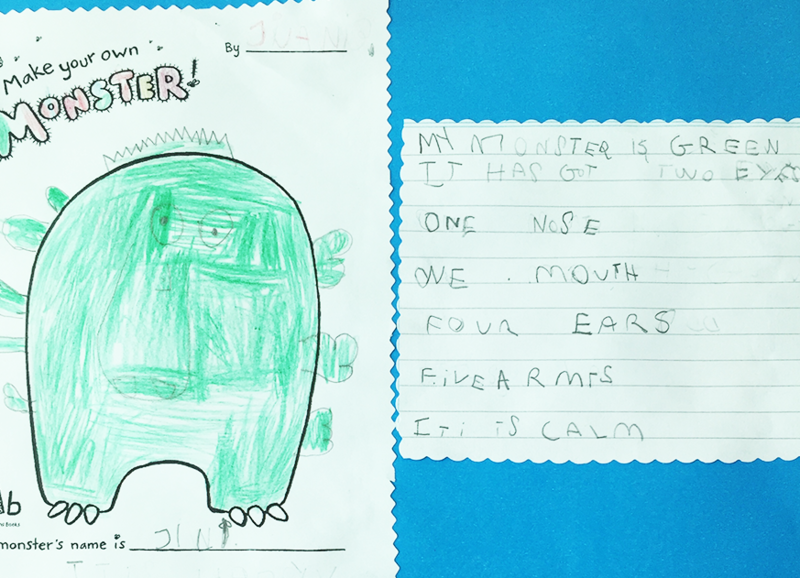 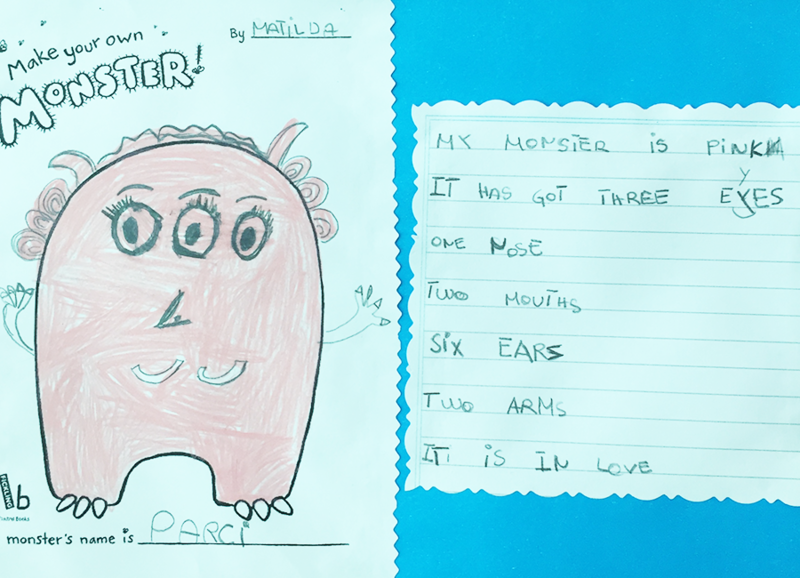 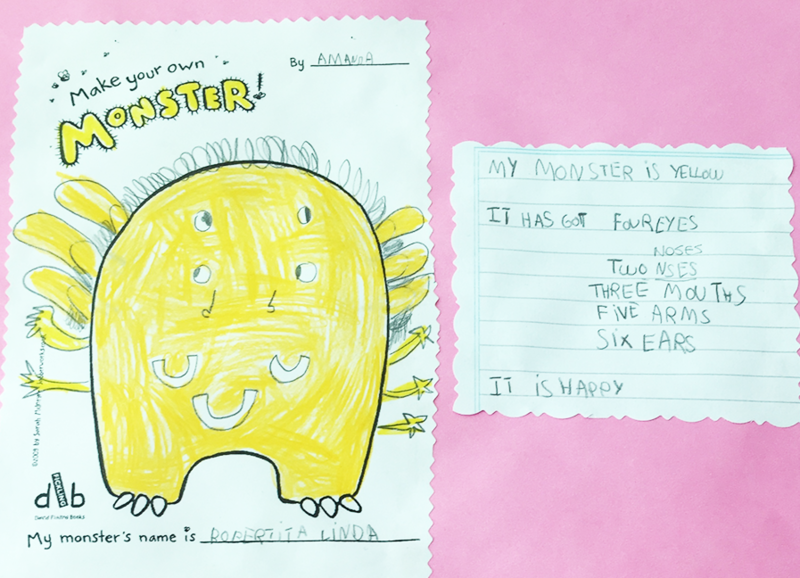 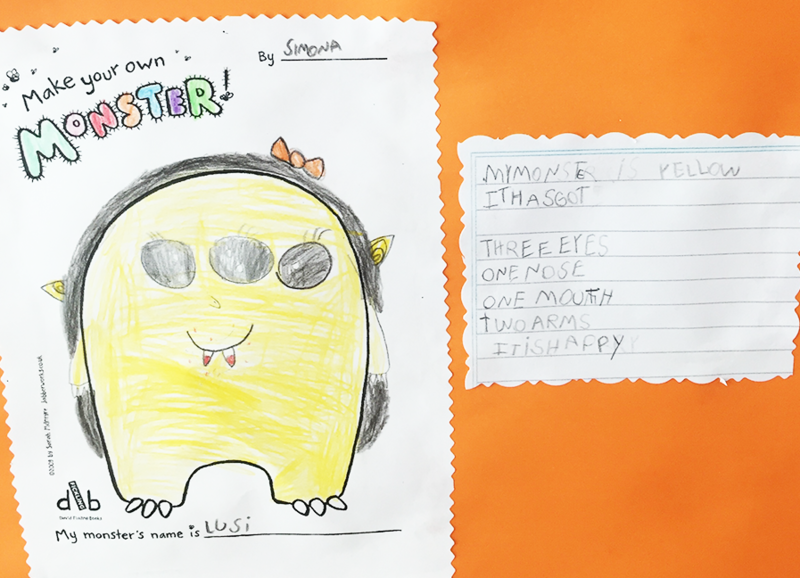 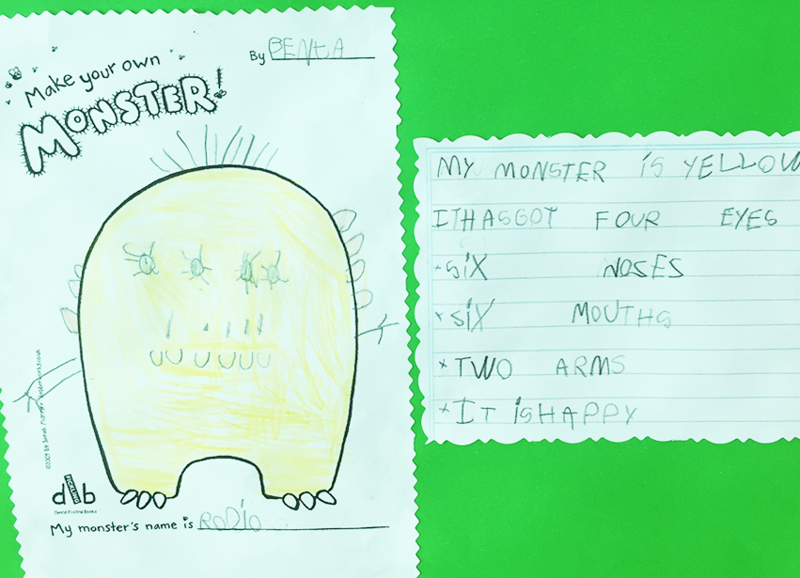 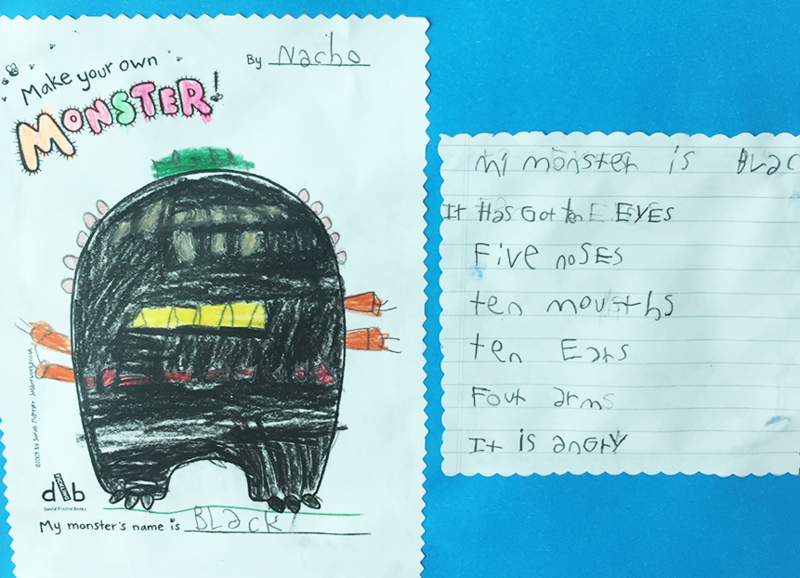 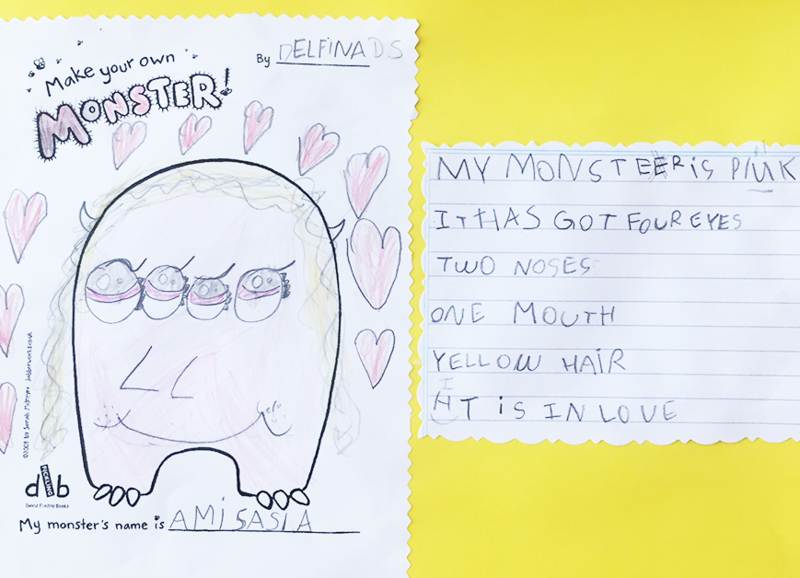 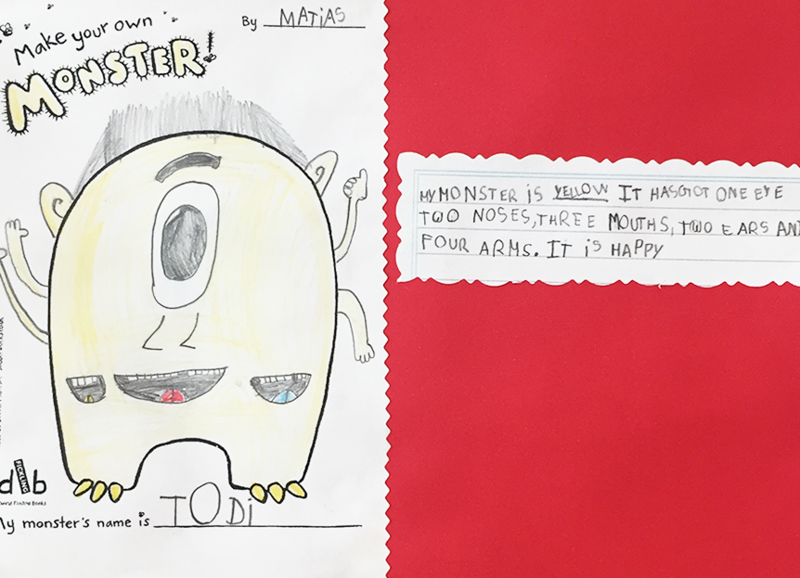 In order to end the project, the students created, coloured and described a monster expressing how they felt that day. 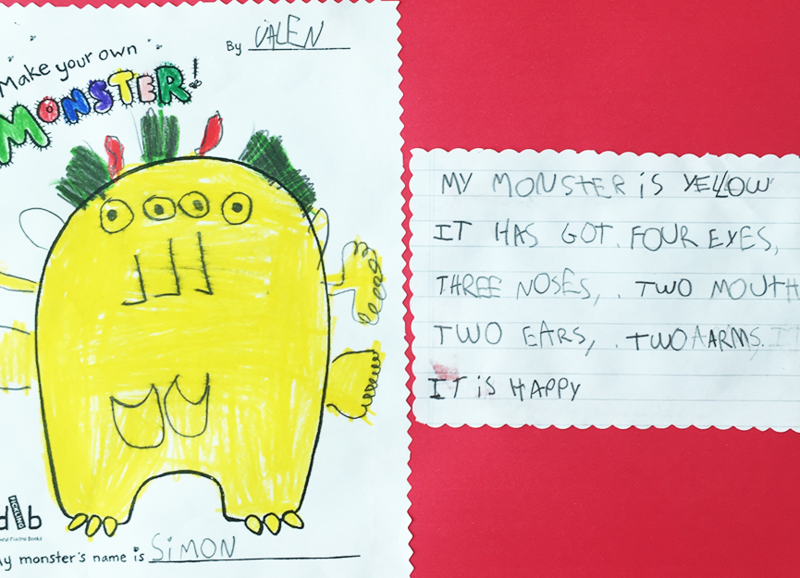 Not only did they explore the emotions but they could also start with their first written productions in English as a process. 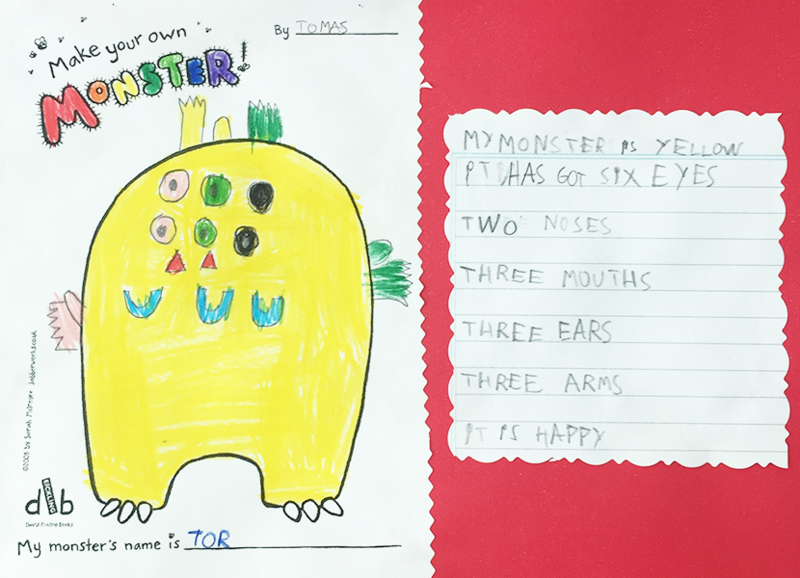 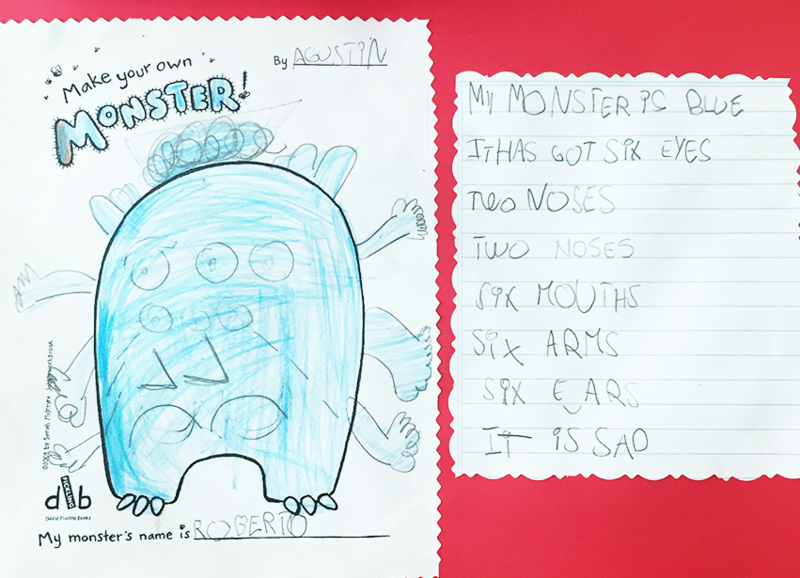 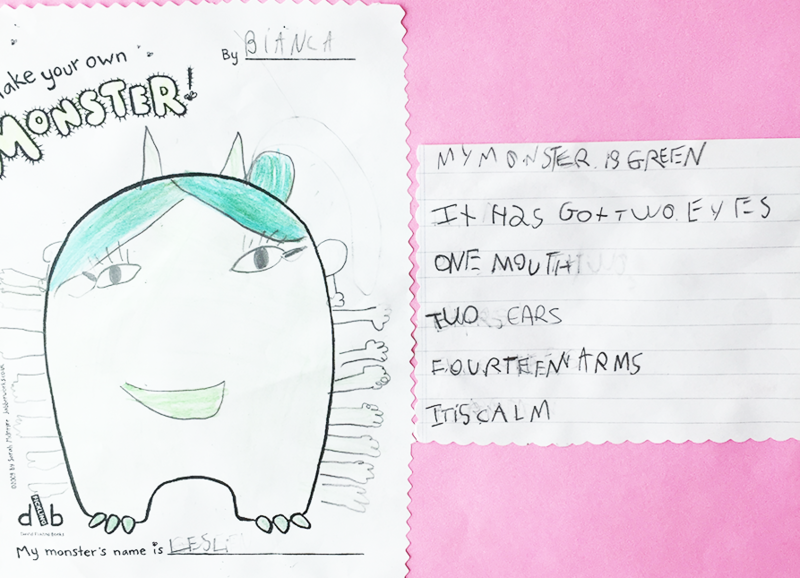 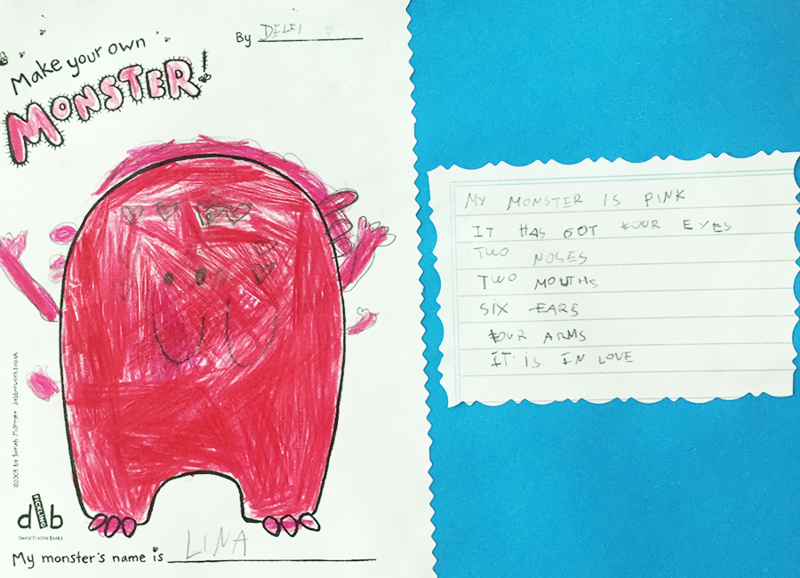 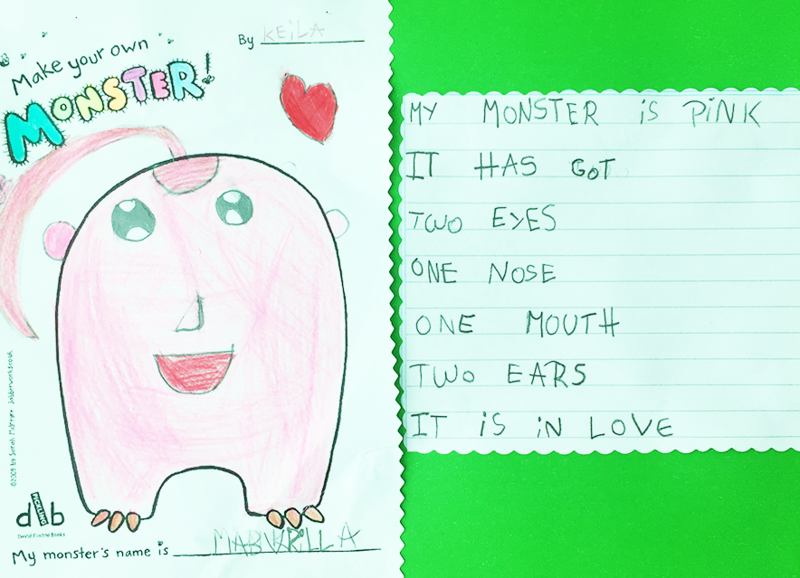 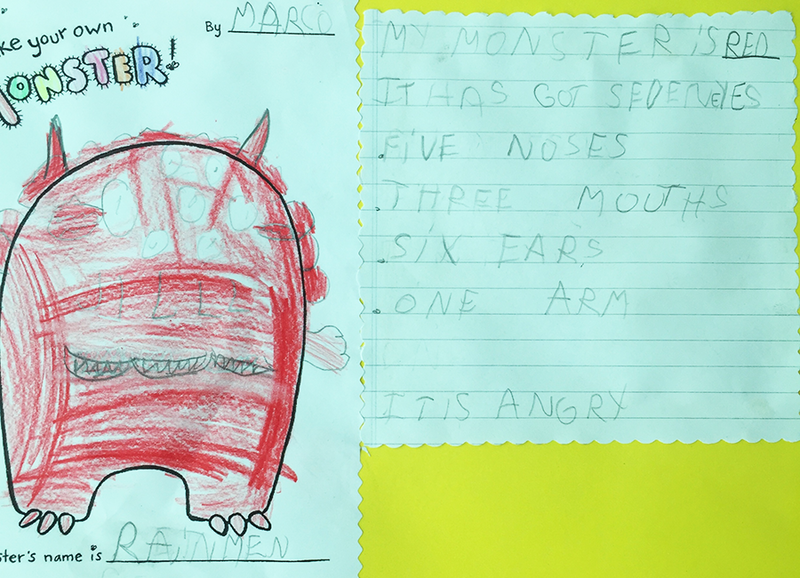 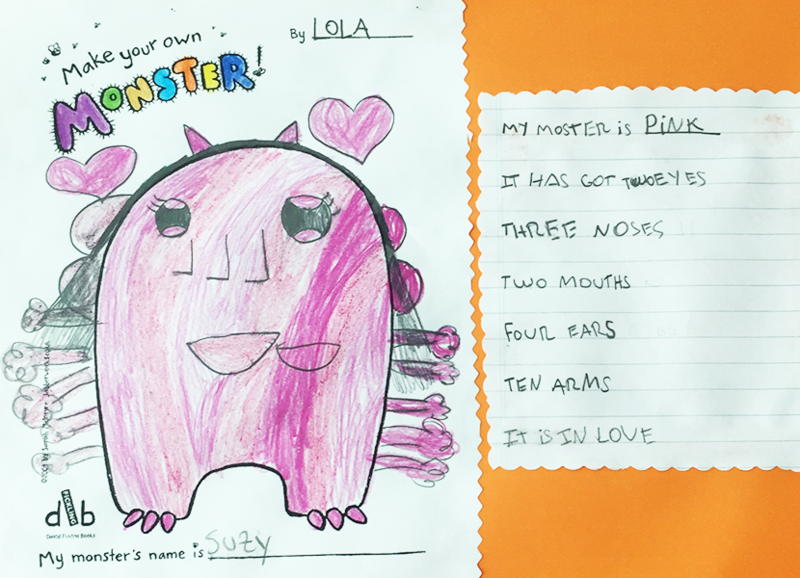 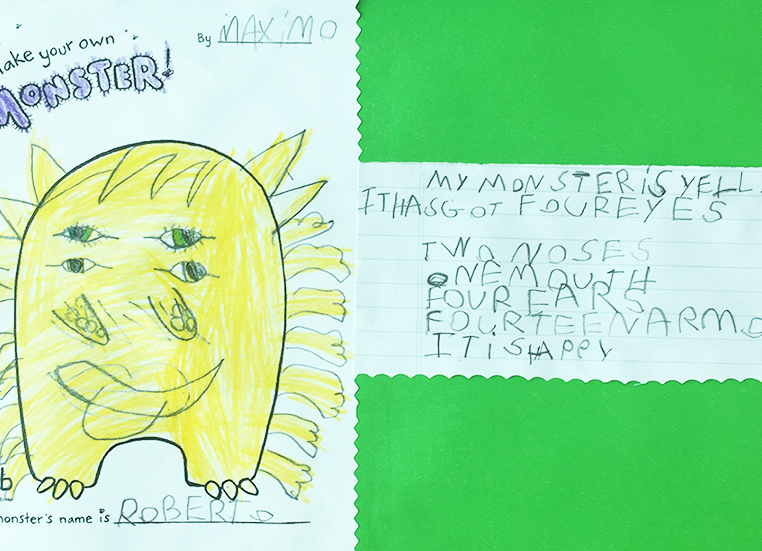 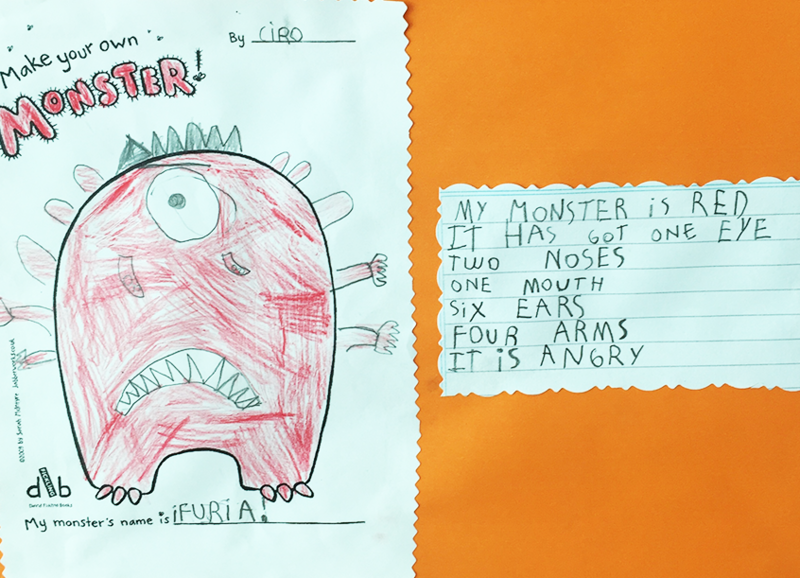 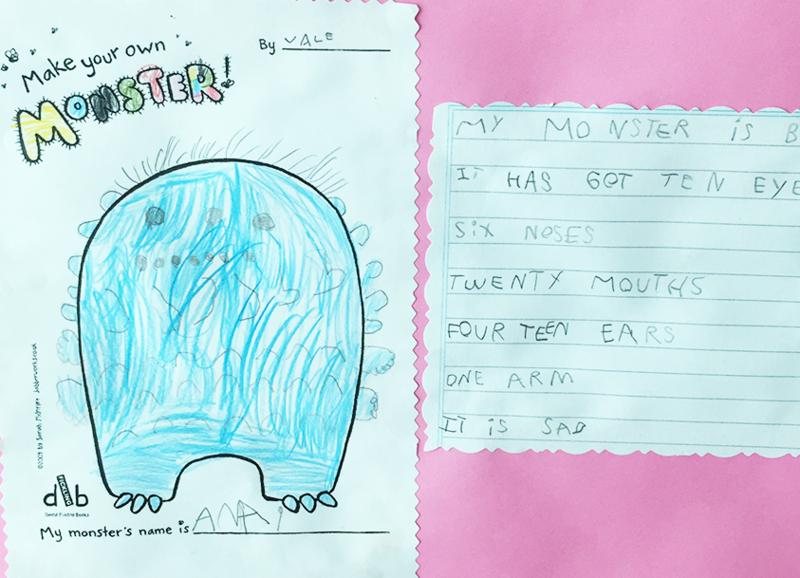 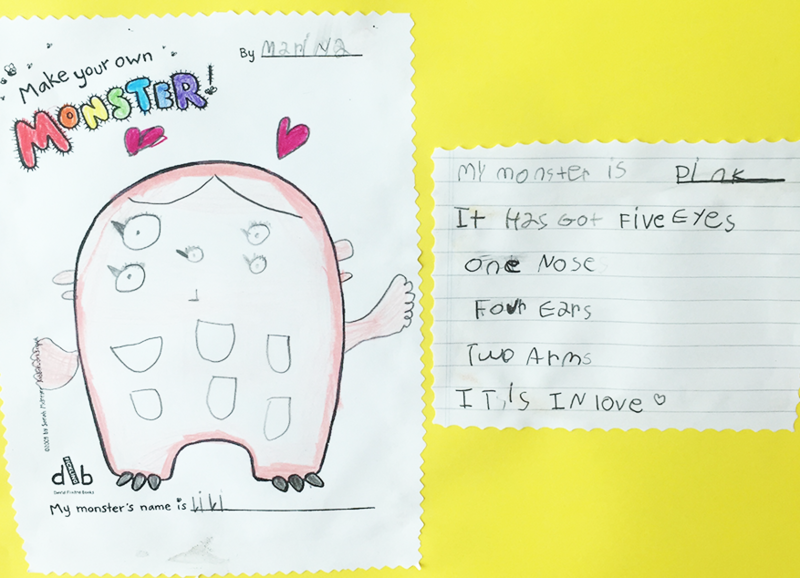 They wrote sentences, describing the body parts of the monsters, in a draft. 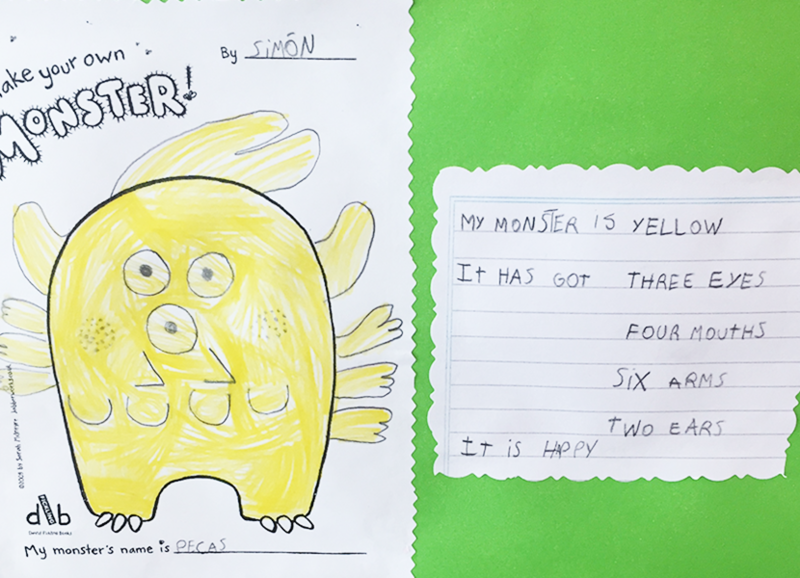 Then, the teacher monitored their spelling and grammar until they got to the final version of what they wanted to communicate in English. 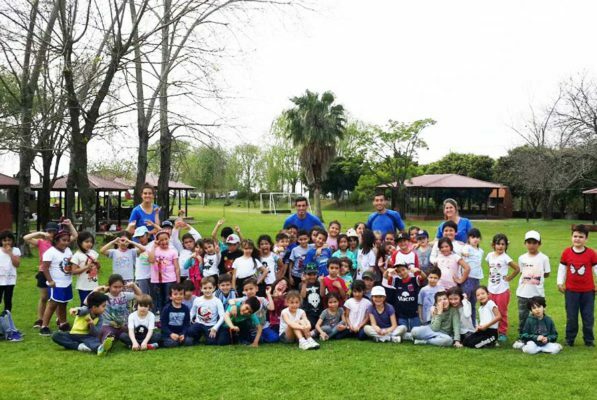 We had lot of fun!